Seventeen-year-old Charlie lives with her Aunt Rachel off the grid in a cabin in the woods, but she can’t wait to go to college in the real world. She thinks that Rachel is just a hippie who likes to be close to nature while she makes the soaps she sells at the farmer’s market. What she doesn’t know is that Rachel’s hiding from vampire clans who would use her as a pawn in their war. 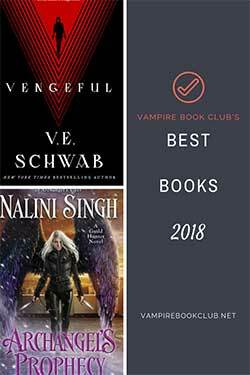 Charlie finds out the hard way when a pair of vampire thugs arrives at her door and kidnaps her aunt, leaving her behind with the handsome and mysterious Sebastian. Sebastian doesn’t remember his life before he became a vampire. But being with Charlie starts to bring back memories. He decides to spare her life and deliver her to the one clan that can protect her. On the way they’ll encounter hunters as well as rival vampires. The vampire clans in this world each have different powers. One clan is traditional vampires, one is shifters, and one is ghoul-like. They also have very different approaches to feeding and coexisting with humans. While we do discover the reason for their varied powers, Gibsen never explains the physical differences between the clans and that bothered me. She also leaves a lot of questions unanswered about Charlie’s history, as well as Sebastian’s. In fact, I felt like all of the questions were unanswered because the end of the book casts doubt on everything I thought I had figured out. It’s not technically a cliffhanger, but it’s very much a “to be continued” situation that left me feeling unsatisfied. I actually almost DNFed Risen at around the 15 percent mark. I had a few instances where repetitive wording had me looking for my editing pen. And then there’s a thing with the dog. (He doesn’t die, but it seemed like maybe he did in an earlier draft and then the author changed her mind.) 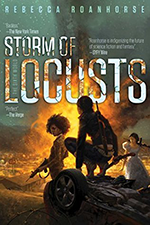 I kept going because it was a really quick read, fast paced with lots of action. And I do think the world is interesting even though I needed to know more about it. 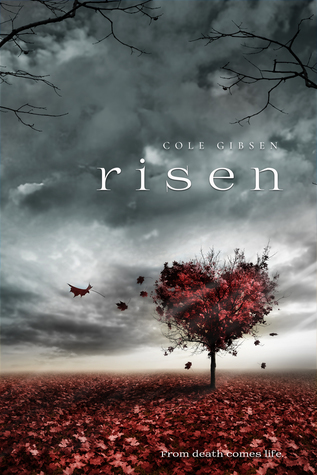 I feel like Risen would work well as a TV show, though I feel like I’ve already seen some of the episodes. It was a fine way to spend a rainy afternoon, even if I didn’t love it. There is a second book planned in the series, which will hopefully answer all of those lingering questions, but I’m not sure yet if I’m going to read it.